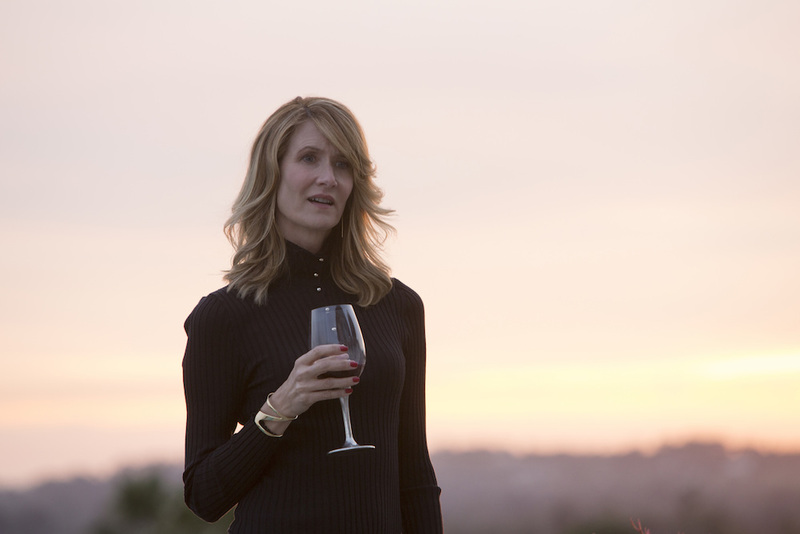 Laura Dern holds all the secrets to the year's most anticipated entertainment, but would we rather she tell us what happens or watch a great actress go to work? But her best training came from her long-running collaboration — since “the beginning of time” as Dern puts it — with “Twin Peaks” director David Lynch, the most close-lipped auteur of them all. And “that” is happening… again. There’s been quite a bit of speculation in the TV world about who Dern will be playing in the “Twin Peaks” revival. At times, it seems like everyone is trying to figure it out. Fan theories are flooding in from Reddit and prominent TV creators alike. But at the root of all these questions is the idea of “why”: Why do fans want to know? Dern found evidence for her theory in fans’ reactions to “Big Little Lies,” the first of her major projects to roll out this year. “After months of people going, ‘Come on. You can tell me one thing,’ I was thrilled when ‘Big Little Lies’ came out and […] suddenly people would come up to me and say, ‘Don’t tell me anything! Don’t tell me the ending! I don’t want to know what happens! '” Dern said. “I was like, thank God! Somebody doesn’t want any information from me! The reactions meant a lot to Dern after she put so much into her role as Renata Klein on the HBO limited series. The initial enemy of Reese Witherspoon and Shailene Woodley’s characters, we saw the Monterrey business maven fight back against stereotypes assigned to a career-driven mother, and — noting how the production ran through the 2016 presidential election — Dern noted parallels to Hillary Clinton in Renata’s plight. “To witness the projections that were placed on Hillary Clinton, regardless of anyone’s politics, was really an eye-opening experience,” Dern said, noting how both Renata and Clinton had to work their way through a patriarchal system, where they’re often the only woman in a board room full of men. “Before [anyone] got to learn much of who Hillary Clinton was as a woman, their observation and therefore projection was, ‘Oh, it seems like there’s a shut-down marriage, or she’s not maternal, or she’s cold. Those comments were fascinating to me,” Dern said. Dern saw a direct correlation between what people perceived and what was really there because she’d seen Clinton interact with her family; a relationship central to understanding Renata, as well. “In the mess is the truth. I loved that,” she said. As for the mess of spoilers, theories, and public curiosity, Dern knows the truth about what’s going on there, too. Since we don’t want her to tell us the answers anyway, there seems to be an easy win-win here. Honesty begets honesty. Be true to yourself, and Laura Dern will be truthful to you. No more lies — big or little.